We will explore the beauty of the Atlantic forest, with its wide variety of plants, rocks and breathtaking scenery. 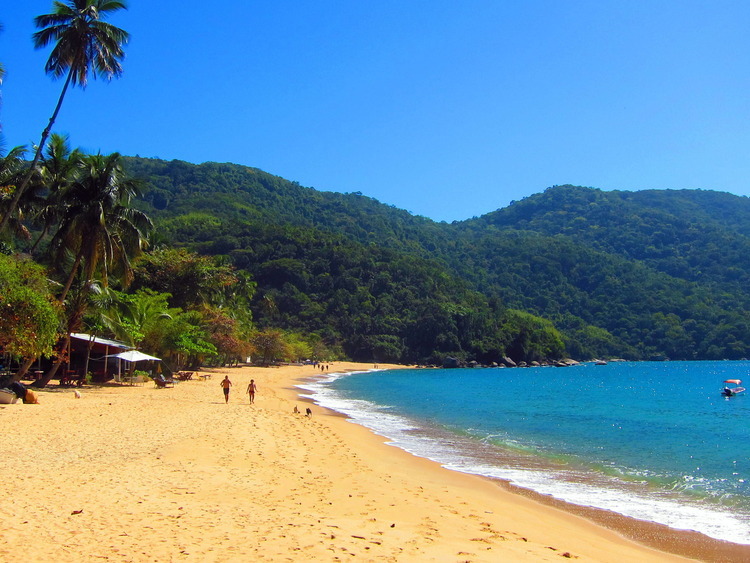 Then we can relax on one of the most beautiful beaches in Ilha Grande, with its white sands and crystal-clear waters. At Vila do Abraão we will board an escuna, a typical local boat that will take us to the north of Ilha Grande. When we get off the boat, we will begin our walking excursion through the heart of the Atlantic forest, which will end at Lopes beach. This is one of the most beautiful and popular beaches on the island, with white sand and clear waters. We can decide whether to dive in and explore the underwater life, stroll along the beach or simply relax. Comfortable hiking shoes are recommended. There are no bars, restaurants or toilets on the beach. The tour is not suitable for the elderly or guests with mobility problems. Due to boat traffic in Abraao, embarkation and disembarkation may be delayed during the summer season.